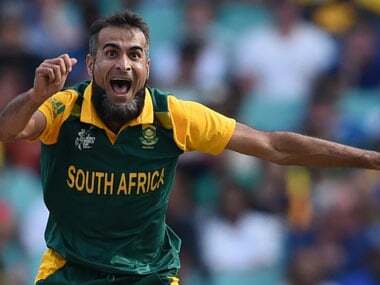 New Delhi: When Ramadan starts, Imran Tahir will begin juggling the demands of observing his Muslim faith and playing a full day of international cricket for a team sponsored by a beer company. 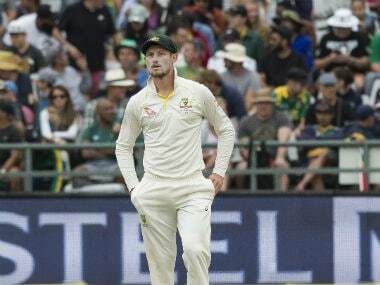 "I don't think it is difficult to balance professional sports with practising your faith," insisted the South Africa leg-spinner, in an interview with AFP. "It is very easy if you follow the right path." One of the world's top spinners, Pakistan-born Tahir has made more than 100 appearances for the Proteas since making his international debut in 2011, after becoming a South African citizen through marriage. In his native Pakistan, the team regularly prays together on the field during internationals and the lunch break is extended on Fridays, so players and fans can attend the weekly services at the nearest mosque. And in Bangladesh, the only other Muslim-majority Test-playing nation, facilities have been set aside to enable fans to pray at the ground. Tahir is one of five Muslims to have been selected for the South African squad taking part in the tri-nation ODI series with the West Indies and Australia in the Caribbean that begins on Friday and runs until 26 June. 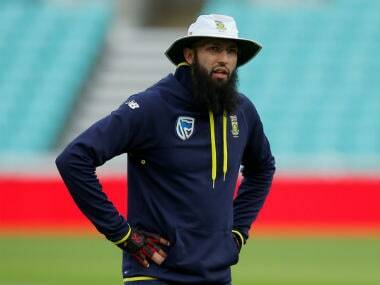 They include former skipper Hashim Amla, who along with Tahir has been given special dispensation not to sport the logo of Castle lager, the team's major sponsor, as Muslims are forbidden from drinking alcohol. Muslims are normally expected to fast from dawn to dusk during the month of Ramadan, which begins in different parts of the world this coming Sunday or Monday. But they are allowed to refrain from fasting if they are away from home, as in the case of Tahir while he is in the West Indies. Tahir said that even if he did not observe a fast on a particular match day, he would still make it up at a later stage. "I am thankful to Allah that he drove me closer to him," Tahir said, during the just-finished Indian Premier League (IPL). "I try not to miss my prayers and the 30 fasts in Ramadan but even if I do miss them due to my cricket, I make up for them later on." The Lahore-born Tahir has plied his trade around the world, including stints in England's county championship and the IPL, where he played for the Delhi Daredevils. Speaking to AFP in the Indian capital, Tahir said that many in the cricketing fraternity helped him observe his faith. "I have come through all the different cultures of the world while playing cricket and I have had no difficulty whatsoever while following my path," he said, glancing at the clock to ensure he wouldn't be late for Friday prayers. "Rather they (players, coaches and support staff) give more respect. Some have even offered me their room to offer my Namaz (prayers)." Since making his international debut at the late age of 32, Tahir has become a mainstay of a South African team that had long lacked a top-class spinner. 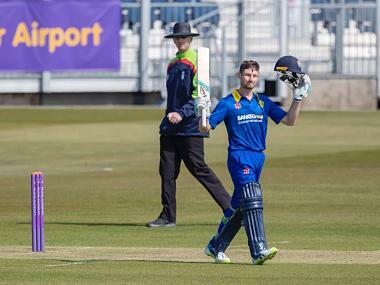 He has particularly excelled in the shorter formats and is now the world's number two bowler in Twenty20 internationals behind the West Indian spinner Samuel Badree, and number six in the ODI chart. His animated celebrations and appeals have made him something of a pantomime villain among some fans, but Tahir says it shows his passion. "I think people know that the celebration is instinctive and not fake," he said. "Looking back at the hard patches of my life, I feel good that I have come thus far. If I get a wicket I just want to show people that how big that is for me."